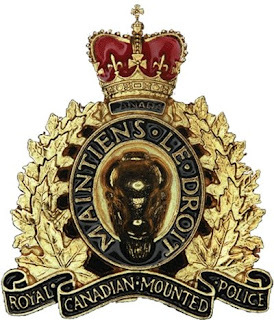 Royal Canadian Mounted Police Officer, Constable Derek Isenor, from the Enfield detachment has been charged with failing to comply with the conditions of his probation and uttering death threats to his wife. He was already on probation for unlawfully storing a firearm stemming from an early incident that involved his wife. A Dallas police officer was arrested early Thursday after police say he grabbed and kicked his wife during an argument Wednesday night. Daniel Lamont Crouch, 39, was taken into custody on charges of family violence assault and interfering with an emergency phone call, stemming from an altercation around 5:30 p.m. Wednesday in Oak Cliff, in the 2200 block of Cheryl Lane. Crouch's wife told police that they got into an argument over their relationship and that Crouch got upset. He grabbed his wife's arm, causing her to fall to the floor, the wife told officers. Then Crouch kicked his wife, according to a police report. The wife told officers that she couldn't move for 15 minutes because of the pain from the kick. She told police she crawled out of the living room to call 911 but that Crouch hung up the phone before she could tell the operator all of the details. By the time officers arrived, Crouch had left the home, police said. He was later arrested at a Dallas police station, according to police documents. Crouch, a 4-year veteran of the department, has been put on administrative leave, pending the outcome of an investigation. 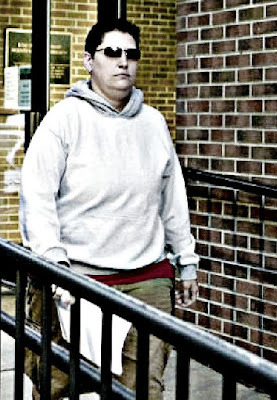 ...District Judge John Capobianco ordered [Colonial Regional Police Officer] Dean Benner to stay away from Kamett Benner and not to contact her, or go to her home or work. Is he (or isn't he) ordered to also stay back from their son? A veteran officer with Colonial Regional police is on administrative leave after he was charged Friday with assaulting his estranged wife during an argument about custody, according to court records. Dean Benner, 41, of Lehigh Township is charged with simple assault and harassment, according to court records filed by a detective with the Northampton County district attorney's office. Benner is free on $25,000 unsecured bail. Benner is on paid leave while an internal investigation is being conducted, Colonial Regional police Chief Roy Seiple said Tuesday. He said Benner – a patrol officer – has been with the department 14 years. Shortly after 9 a.m. Friday, Nazareth police were called to an apartment at 141 S. New St. Kamett Benner told police that Dean Benner – her estranged husband – was at her home when they argued about custody issues. Kamett Benner told police they were outside on the porch arguing when she "attempted to walk away from the discussion." She told police that Dean Benner shoved her from behind and she went into the living room. She said Dean Benner then grabbed her with both hands and "threw" her and she fell backward and injured her back and buttocks when she struck a model truck. 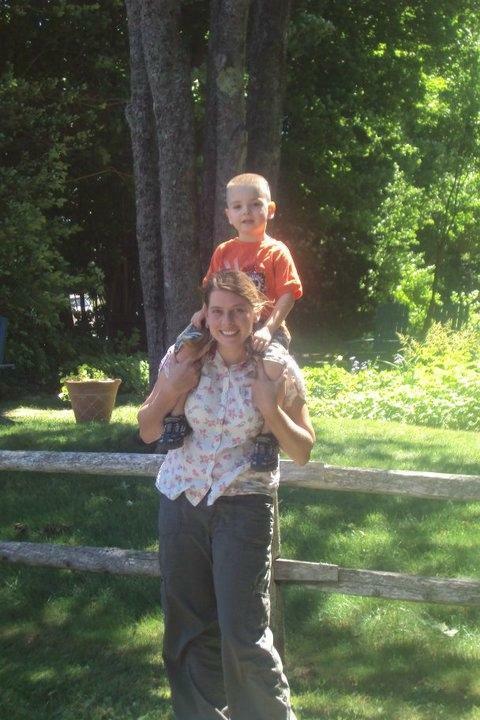 Kamett Benner said she grabbed her 9-year-old son in a "bear hug" to prevent Dean Benner from taking the boy. She said her estranged husband pushed her again and she landed on the sofa with her son. She said Dean Benner then punched her in the back and grabbed her hair and yanked it back, causing her pain, the record states. 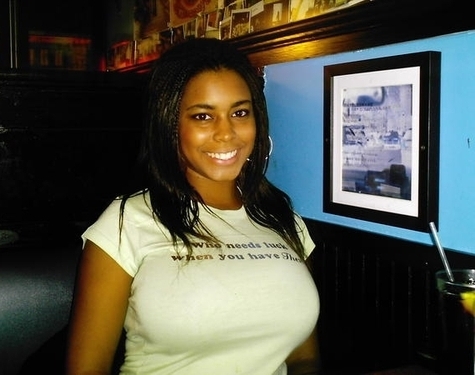 Shari Bethel Cartmell died of a gunshot on March 16, 2010 in her own home. Her husband, former Metropolitan Nashville police officer Deon Cartmell, is on trial this week for her murder. For those who pray - please pray for truth, justice, and strength for the families. UPDATE: GUILTY OF SECOND DEGREE MURDER AND SENTENCED TO 18 YEARS IN PRISON FOR THE MURDER OF SHARI. [TN] Nashville Police arrested their own Officer Deon Cartmell and the grieving family of his murdered wife Shari are thankful - Nashville Police Officer Deon Cartmell has been decommissioned and charged with 1st degree murder in the killing of his beautiful wife Shari Bethel (Cartmell). [TN] Family of slain Shari Bethel Cartmell flee state in fear as DA acknowledges potential danger - With nothing much to left lose after making starkly contradictory statements regarding Shari's death, why isn't Deon Cartmell considered a potential risk to himself and others? Why is there no explanation in the news for why the court has completely disregarded the fear of Shari's family? VIDEO: Cartmell testifies - "I'm trying to be honestly honest with you." VIDEO: Cartmell testifies - "I'm not going to sit here and try to relive it." Deon cartmell said he was showing Shari how to clean the weapon. Says his memory is very fuzzy. VIDEO: Cartmell testifies - Deon Cartmell said he was teaching Shari Cartmell how to use the weapon. "I've done everthing I could to push this out of my head." 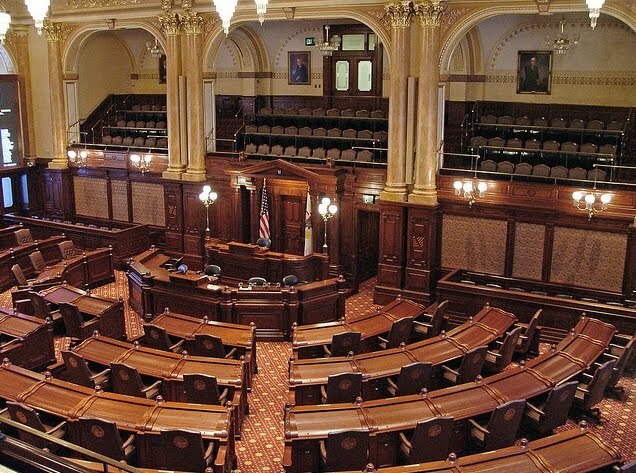 [IL] "Personal Matter" - Senator Schmidt's husband called police to home. Illinois State Senator Suzanne "Suzi" Schmidt's husband called police during a "domestic incident" with her last week. Lake County Sheriff's responded. "At approximately 6 p.m., sheriff’s deputies were summoned by [Schmidt's husband] Robert to the Schmidt residence, where they took statements from both Suzanne and Robert regarding a verbal argument that resulted in this domestic call out." 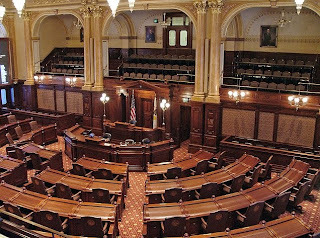 Legislative aide Lauren Fleming told the Chicago Tribune that the incident was a "personal matter." What happened that lifted the words to the level that police should come? A bad choice or something more concerning? Something more dangerous would make it a public matter. Praying for them both. 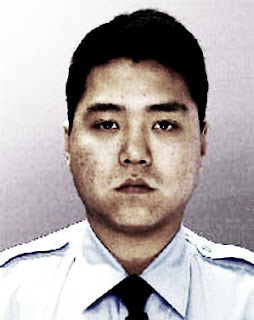 After a domestic incident with his ex-girlfriend, Philadelphia Police Officer Sean Jang was arrested by fellow Philadelphia officers and has been charged with aggravated assault, unlawful restraint, simple assault, recklessly endangering another person and false imprisonment. No information was released about whether there were injuries to his ex-girlfriend, whether she is being assisted with safety measures/options, or if she has a protection order. Jang got right back out of jail after posting bail. Jang will be doing administrative duties while the incident is investigated. His court hearing is scheduled for September 6th. I read between the lines. 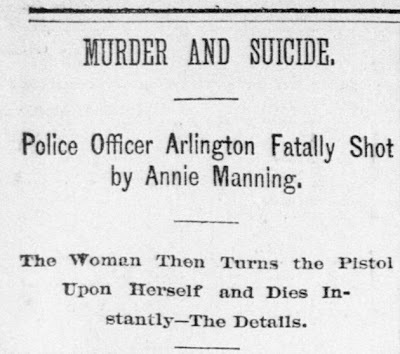 MURDER AND SUICIDE: Police Officer Arlington Fatally Shot By Annie Manning. -- The Woman Then Turns The Pistol Upon Herself And Dies Instantly — The Details. William Arlington, the well-known police officer and detective, was fatally shot yesterday afternoon by his mistress, Annie Manning. The woman then committed suicide by shooting herself in the head. The tragedy took place at 143 L street, where the Manning woman kept a house of ill-repute. 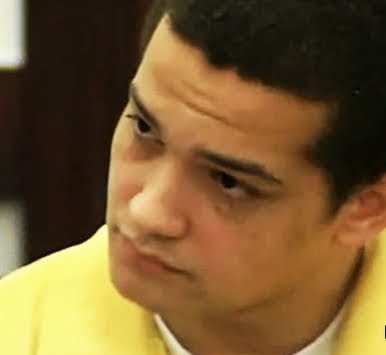 The shooting of Arlington appears to have been premeditated by the woman, as she was insanely jealous of him and had frequently threatened to murder him. Officer Arlington was closeted with Chief of Police Drew about 3:30 o'clock in the afternoon, when a messenger boy arrived and handed the officer a note. It was from Annie Manning, and was a request that he call at the L-street house as soon as possible as she wanted to see him on urgent business. Arlington and the woman had a quarrel recently, and he had refused to see her. The note was. he thought, intended to bring about a reconciliation be tween them. After reading the note he turned to the Chief and said: "Here's a note from that woman. She wants to see me, but I am afraid she is putting up a job on me. I don't want to have anything to do with her, and .she is mad on account of it." Chief Drew replied that he guessed she would not hurt anybody, and said that he was about to take a drive in his cart, and would take the officer to the house if he so desired. Arlington acquiesced, and getting into the Chief's vehicle' was driven to the Manning woman's house. He said he would only stop a few moments, so the Chief said he would wait for him. Arlington had been in the house but a few moments when Chief Drew was startled by the reports of several pistol shots in the house. Officers Shelters and McLaughlin were near by, and summoning them, the Chief rushed into the house. The rooms on the main floor were deserted, but, upon going down stairs into the basement and into the front bedroom, a ghastly sight met their gaze. The place was rather dark, but they could see two forms lying upon the floor. Lighting the gas, it was seen that the forms were those of Arlington and the Manning woman. They were lying in great pools of blood, and the life fluid was gushing from wounds in both of their heads. The woman was dead. Arlington was gasping for breath, and apparently dying. A messenger was dispatched immediately for a doctor, and Dr. Baldwin was soon at the house. As nothing could be done for the woman, the physician directed his attention to the "dying officer. It was found that he had been shot twice in the back of the neck and once in the left side of the head just above the forehead. The brains were oozing out of this latter wound; a deep cut was also found upon the right side of the head. The doctor said right away that the wound was probably a fatal one, and directed that the officer be removed immediately to the Receiving Hospital. 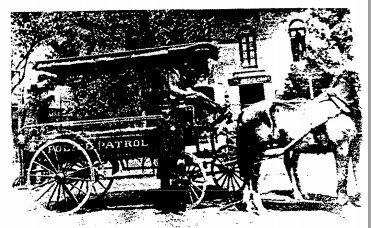 An express wagon — no better vehicle being obtainable — was secured, and the wounded man taken to the hospital. City Physician Nichols was then telephoned for, and arrived soon after. 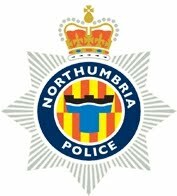 One glance at the unfortunate officer was sufficient to convince him that the wounded man did not have long to live. An effort was made to get Arlington to speak, but he was too far gone. The wounds in his neck had completely paralyzed him. He was made as comfortable as possible, the wounds dressed, and everything done to relieve his sufferings. The news of the shooting spread rapidly, and in a very few minutes the street in front of the Manning house was densely packed. It took the combined efforts of several officers to keep the crowd from rushing into the house. The Manning woman, it appears, shot herself above the right ear. The bullet sped through her brain horizontally and made its exit at the opposite side of the head. There was a deep cut just beneath her chin, and as the blood flowed freely from this wound it was at first thought that this was where she shot herself. 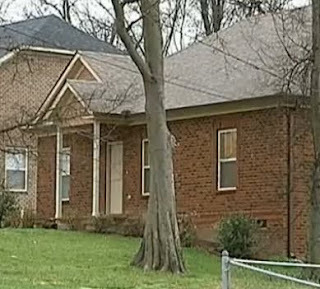 She lay upon the floor on her back, about three feet from where Arlington's body found. By her side was a new Smith & Wesson 38-caliber revolver, containing four empty cartridge shells. The officers lifted her up and placed her upon the bed, but there was nothing more to be done but to send for the Coroner, owing to the nature of the wound inflicted by the bullet her death must base been almost instantaneous. How she obtained the cut on her chin can only be guessed at, but the officers and doctors are inclined to believe that she received it in falling after she had shot herself. The same is believed regarding the cut on Arlington's head, as there were blood stains on a marble table near where he fell. There were no witnesses to the tragedy so far a.s can be learned, and Chief Drew is firmly of the opinion that only the two were in the room at the time. There was only one other person in the house, and that was a girl who was asleep in a room on the second floor. When questioned she said (she) was awakened by the shots, but was afraid to go down stairs. The cause of the tragedy was in all probability the jealousy of the woman and Arlington's refusal to live with her. The two had been on intimate terms off and on for over ten years, but in that time they had many stormy quarrels and temporary separations. Several weeks ago they had another quarrel and Arlington declared that he would never speak to her again. She begged him to return, but he was obdurate. She then fitted up apartments in the DeWitt House, at Third and J streets, and again entreated him to live with her. but again he refused. The woman then became enraged and declared that she would kill him, but as he had often heard her make similar threats he paid no attention to this outburst and only kept out of her way. The Manning woman was seen on the streets early yesterday afternoon, and it is stated that she purchased the revolver before returning to the L-street house. The intimacy between Officer Arlington and Annie Manning began something like ten years ago Arlington was then a police officer, and she was a girl 16 years of age. A report was received at police headquarters that a girl had run away from Stockton and was in a bagnio in this city. Officers Arlington and Lee (the present Captain) were detailed to look her up, and they found her on Third street. In arresting her, however, they permitted her to go to her room to change her shoes, and she took advantage of the opportunity to escape. Nothing was beard of her then for several months when Arlington captured her. She was not prosecuted, and after her release she and Arlington met frequently and became Infatuated with each other. They lived together For some time, and then quarreled and separated. Reconciliations and quarrels succeeded each other then up to the time of the tragedy. Judging from the range of the bullet which tore through Officer Arlington's brain, Dr. Nichols says he must have been in a stooping position when the fatal shot was fired. The possibility that Arlington did the shooting instead of the woman is scouted. The doctor thinks that the fact of Arlington being in this position may account for the cut in the officer's head. That is he thinks it possible that the woman, who is large and powerful, struck him on the head with the revolver before shooting him. The wonderful vitality of the wounded man surprised the doctors. When he was first brought to the Receiving Hospital it was not thought that he would live an hour. Still he clung on to the frail thread that kept him between life and death, and up to last accounts this morning, he was still breathing. But Dr. Nichols says that he has not one chance in a thousand to live, and predicts that he will expire before many more hours. William Arlington is a native of Kentucky, and is 38 years of age. He was considered one of the very best officers Chief Drew had, and was a born detective. He has hosts of friends in Sacramento who are greatly grieved at his misfortune. FIGHTING OFF DEATH: Police Officer Arlington Still Lives But is Unconscious. - LIttle Hope for His Recovery - Annie Manning's Will - Result of the Autopsy. The terrible tragedy in which Police Officer William Arlington was shot by his mistress, Annie Manning, who after ward shot herself, was the talk of the city yesterday. Everybody knew the popular officer, and all liked him. Despite the fact that the doctors pronounced Arlington's wounds fatal, he is still alive, and may live for several days yet. Some even believe that he may get well. City Physician Nichols said that while he considered that the wounded officer did not have ONE CHANCE IN A HUNDRED to survive the effects of the deadly bullet, yet there had been cases in his practice in which persons had recovered from just such wounds. Of course, there is no hope of ever extracting the bullet, and if the officer recovers he will always carry the bullet in his brain. Hosts of the wounded officer's friends called at the police station yesterday with the expectation of seeing him, but in each ease they were denied admission into the hospital, the doctor having left strict orders in this regard. The sufferer has to be kept us quiet as possible, and there is noise enough about the place caused by passing trains, without that which would be added by visitors. A nurse is in constant attendance, and everything is being done to make the wounded man as comfortable as possible. He is still unconscious. At times he appears to rally and to recognize those about him, but he cannot speak. "In the presence of Drs. G. C. Simmons and C. B. Nichols, I this day held an autopsical examination of the body of Annie Manning, deceased. There was found a gunshot wound upon the right temple and a slight wound upon the chin. The bullet which made the wound of entrance was felt beneath the scalp upon the opposite side of the head, and several fragments of bone, crushed out by the passing ball, were felt in the immediate neighborhood of the ball. "Upon raising the scalp the skull was found to be fractured irregularly; in its entire circumference. The ball passed transversely through the two hemispheres of the brain, tearing away the upper part of the corpora atriata. The wound of entrance was irregular in shape, one and one-half inches in length by measurement. No powder-marks were observed in the skin, bat powder discoloration was noticed in the temporal muscle beneath, indicating that the muzzle of the pistol was placed against the temple. The great size of this wound was caused by laceration from powder explosion. "The slight wound seen on the chin was probably caused by falling upon the corner of a piece of furniture or other hard object. No other wounds or abrasions were found upon the body. The wound was necessarily fatal and death must have been instantaneous." The will of Annie Manning was filed In the County Clerk's office yesterday for probate. It is a brief and simple document. In it the testator says: "I give and bequeath unto my mother, Mrs. William Meyers, of 121 Lafayette street, Stockton, CaL, all the property, both real and personal, of every kind and nature, which I own, or may have or own at the time of my death, absolutely and unconditionally to her." The mother of the deceased is also named In the will as executrix of the estate without bonds. The will was drawn up just a year ago. Accompanying the will is Mrs. Meyer's petition for fetters of administration. She estimates tho value of the estate at $5,000. It consists of household furniture, jewelry and money in bank. HE STILL LIVES: Officer Arlington's Condition Grows No Worse. - If Anything He Hns Gained Some Strength — His Puise Strong, but He Cannot Speak. 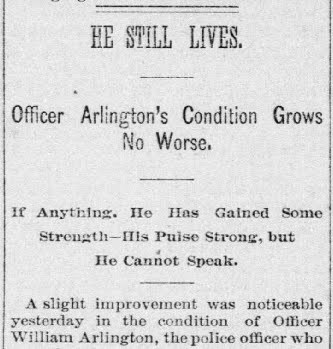 A slight improvement was noticeable yesterday in the condition of Officer William Arlington, the police officer who was shot by Annie Manning, and Dr. Nichols expressed himself as surprised at the patient's remarkable vitality. His pulse was stronger and more regular than at any time since the shooting, and no sign of fever was perceptible. He was strong enough to raise himself in bed yesterday morning, and, although able to open his mouth, could not utter a word. He apparently recognizes acquaintances. The doctor talked to him yesterday morning, and by repeating his questions the meaning gradually dawned upon the patient's mind. The only nourishment he is able to take is milk. Dr. Nichols states that, while he considers the apparent improvement in the officer's condition little less than a miracle, he would not be surprised to hear of a sudden change for the worse at any moment, and the patient's rapid dissolution. He says it is not at all unlikely that inflammation of the brain will set in. There seems to be little or nothing on which to found the theory that the woman had a confederate, and that Arlington was first assaulted by the latter. A Record-Union reporter was in the room within a few minutes after the terrible tragedy occurred, and there was no place therein where a man could have secreted himself. The room was very light, also, and a person could not have concealed himself from' Arlington. The bureau was about three feet from tho bed, and Arlington lay with his head near the corner of the former, as if he had pitched forward from the bed and fallen there. The probability is that he was sitting on the bed with his head bent forward, meditatively, and his eyes fixed on the floor, listening to the woman's tirade of abuse, when the first shot was fired. This was doubtless the one that took effect in the upper portion of the head. Then he probably started up, but fell and struck his head against the bureau as he fell forward. As he lay upon the floor the murderess fired the shots that entered the back of the head. This theory is strengthened by this fact that one ballot first struck the base of the bureau and lodged in Arlington's clothing, where it was found. The contusion on the bead was most likely made by his falling heavily either against the edge of the bureau or the corner of the marble slab. There arc rumors about of some one having been seen to run away from the place, and also that one of the women of the house disappeared as soon as the shots were fired. If these things occurred they will doubtless be brought out at the inquest to be held on the woman's remains, but the more rational theory seems to be that there was no person present except the Manning woman and her victim. The body of Annie Manning is at the Morgue, where it had been placed in a handsome casket. Her mother returned to Stockton yesterday. Night Officer Clark at the police station says he is convinced that the wounded man knows what is passing in his room. When he went in to see him yesterday the patient reached out his left hand and drew him toward the couch, and appeared to be pleased when his fellow officer sat down by him. He looked as if he wanted to speak, and opened his mouth, but could not articulate. Should the patient gain in strength, an effort will be made to obtain some expression from him, by propounding written questions, concerning the facts of the shooting. 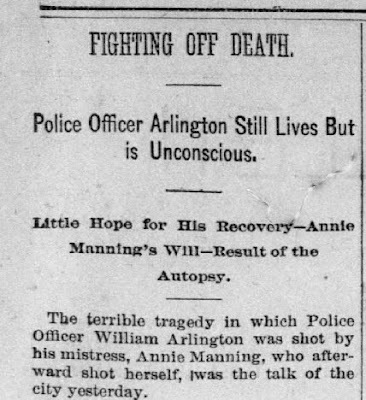 ANNIE MANNING'S VICTIM: Police Officer Arlington Finally Succumbs. -It Was a Mighty Struggle But Death Was Victorious — He Never Spoke. 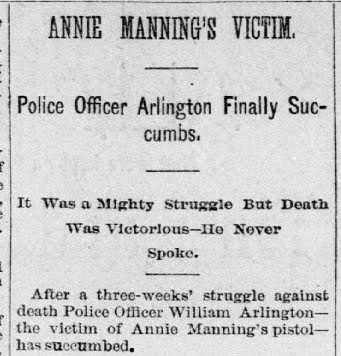 After a three-weeks' struggle against death Police Officer William Arlington — the victim of Annie Manning's pistol — baa succumbed. He died yesterday afternoon at the Receiving Hospital at 3:15 o'clock, and the details of the terrible double tragedy which convulsed the community, will never be known. and would give no opinion other than that the patient was doing remarkably well considering the nature of his wound. On Friday night the nurse noticed that Officer Arlington was weaker than usual and did not take his usual amount of nourishment. On Saturday the symptoms developed more strongly, and by Saturday night it was plain that dissolution had set in. He sank slowly, but surety until yesterday afternoon, when death came to his relief. The remains were removed to the morgue. An autopsy will be held to-day and several prominent physicians have promised to assist, so that a very complete examination of the wounds may be made. William Arlington has been a resident of Sacramento during fifteen or sixteen years. He was at one time a driver on the Golden Kagle omnibus, but of late years he has been a member of the Sacramento police force and a Wells-Fargo detective. He was about 40 years of age and claimed to be a relative of the Arlingtons of Virginia, and had many friends in this city. He was one of the most efficient officers in tho department and was particularly successful in detective work. It has been known to the more intimate friends of William Arlington in this city that a mystery surrounds his family history. He has stated that his family were "the Arlingtons of Virginia," but beyond that he has never been known to refer to his parents, nor his former home. Many years ago Arlington was employed as driver of the Golden Eagle Hotel omnibus, and it is thought that his pride caused him to keep his identity from being known, and also to assume the name by which he has been known. Some weeks ago a gentleman informed a RECORD-UNION reporter that a friend of his who resided in Peoria, Ill., had told him that he was quite sure he recognized in the Sacramento policeman the son of a prominent physician of that place, one Dr. Murphy. The young man, he said, was of an adventurous, roving disposition, and many years ago left his home for this coast. He had talked with Arlington here and found that he knew all about Peoria and many of the citizens there. Out of respect to his feelings, the gentleman said he refrained from hinting to him in any way that he suspected him to be Dr. Murphy's son. This statement is partly borne out by what a friend of the deceased said to a reporter on Saturday night last: There is something strange about Billy's early life," said he. "I am sure his name is not Arlington, but that he adopted that name so that his relatives might not know that he ever engaged at menial though honest labor here. There is one man who does know who he is, and that is Johnnie Daly, a prominent sporting man of Chicago. When Billy was East last year he spent a couple of days with Daly who is a fast friend of his. I understand that Billy's home was somewhere near Chicago." In view of the mystery surrounding the matter of his family, it would be wise for the proper officials. or friends of the deceased, to write to parties in Peoria, or to correspond with Daly. So long as there was a possibility of the injured officer living the Record-Union refrained from mentioning the matter, but now does so in tho hope that his remains may be restored to his family. 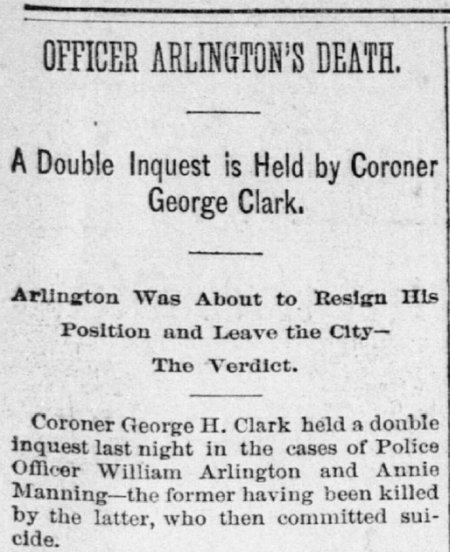 OFFICER ARLINGTON'S DEATH: A Double Inquest is Held by Coroner George Clark. -Arlington Was About to Resign His Position and Leave the City -The Verdict. 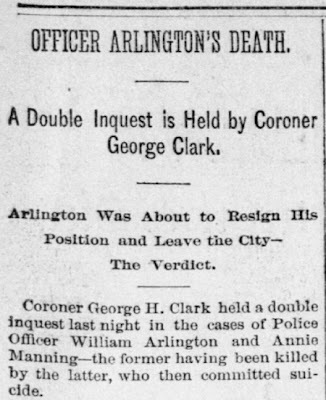 Coroner George H. Clark held a double inquest last night in the cases of Police Officer William Arlington and Annie Manning — the former having been killed by the latter, who then committed suicide. The inquisition was a very complete affair, and some new details were brought out. Chief of Police Drew was the first witness sworn. He testified that he knew the deceased, and knew he was 40 years of age. He believed that Officer Arlington was a native of Kentucky, and did not know whether or not he had any relatives living. On the 8th of July Officer Arlington called the witness into the latter's private office and told him that he had partially made up his mind to resign and leave the city. He said that he was having trouble with "that woman again" (meaning Annie Manning), and said he feared her. While they were talking, said the Chief, a messenger-boy came in and handed Arlington a note. This note was from Annie Manning and was to this effect: "Steve has come back and says he is going to stay here. Come down. Maybe you can talk to him." Arlington read the note and handed it to the witness. He then said that '"Steve" was a bad man when he was drinking. He had made trouble for Annie before, but he (Arlington) had succeeded in quieting him. Continuing, the Chief said that as he was going down toward Third and L streets he invited Arlington to ride down With him. 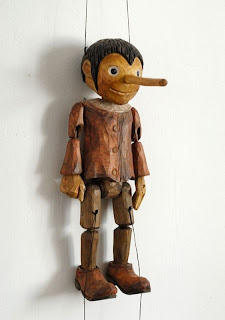 When they stopped near the house the witness heard a man who was sitting in a neighboring window call out, "Billy, come in, I want to see you." Arlington told the Chief that was "Lucie, who had no legs." The Chief also saw another man inside, through the lace curtains. The Chief then drove off to attend to some business, and returned to the corner of Third and L streets about fifteen minutes later. While there he heard a police whistle, and saw a crowd running toward the Manning house. The Chief drove down to the house as quickly as possible. Going inside he found Annie Manning dead on the floor and Officer Arlington lying near by in a dying condition. In answer to questions asked by Coroner Clark, Chief Drew said that "he had known Officer Arlington about fourteen years, and had also known Annie Manning for some time. He did not know of his own knowledge of their ever having quarreled. The Chief then gave a detailed description of the room in which the shooting took place, its furnishing, and of how the bodies lay. "Who is the person referred to as *Steve' In Annie Manning's note to Arlington?" asked Coroner Clark. "Steve was a brother to Annie Manning," replied the Chief. "Steve was a man who was very violent when drinking. It was said that Arlington was the only man who could do anything with him when he was drinking." In answer to questions by City Attorney Hart the Chief said he made a thorough search of the Manning house and did not find anybody there. He met no man and saw none about the place. City Physician C. B. Nichols testified that he was summoned to attend Officer Arlington at the Receiving Hospital on the afternoon of the 8th of July. He found him unconscious and very low. He rallied, however, and appeared to regain consciousness. The doctor said he endeavored to get a statement from the wounded officer, but the latter had not the power of speech. By asking the patient to press his hand, however, he was able to carry on quite an intelligent conversation with him. He asked Arlington if he had been struck on the head before shot and he replied in the affirmative. he also Informed the doctor that he was not in pain. When asked whether or not there were other persons in the room when the shooting took place, he did not respond. Dr. Nichols took occasion to explain for the benefit of some persons who had found fault because there were not several consultations of surgeons and some operations performed upon the patient. He said a great many patients were killed through "meddlesome surgery." When he found a patient doing as well as Officer Arlington did up to last Friday, he believed in letting well enough alone. Nothing could be gained by probing and meddling with the wound. Dr. Nichols then exhibited the upper portion of Officer Arlington's skull, showing the hole made through it by the bullet. He said he had performed an autopsy on the remains and had been assisted By Drs. Simmons, White, Gardner and Merrill. "The primary cause of death," he said, "was an injury to the brain substance, inflicted by a fragment of bone being driven through the brain by some external force — presumably by a pistol ball. The immediate cause of officer Arlington's death was the compression of the brain from an effusion into the left lateral ventrical. It is, in my opinion, from the powder marks under the scalp, that the injury was Inflicted by a bullet fired from a pistol held in close contact with the head. The fragment of bone was found at a depth Of two and one-half inches from the upper surface of the brain. There were also found two smaller fragments of bone at the same depth, but on either side of the main wound." The doctor also referred to the two wounds in the officer's neck, but said they were only superficial and did do particular harm. Charles Flobr, the gunsmith, testified that on July 8th, about 2 o'clock, Annie Manning came to his shop and purchased a revolver. She explained to him that there had been so much robbing going on that she did not feel safe at night in her house. She had not been drinking and was perfectly cool. Police Officer Shellars and Special McLaughlin corroborated the testimony given by Chief Drew. M. Simmons, a barkeeper, who is employed in a saloon on Second street, between K and L, testified that he knew Officer Arlington by sight. On the day of the shooting he saw Arlington and Chief Drew in a buggy. The rear of the saloon is next to the rear yard of Annie Manning's house. He was standing near the rear of the saloon and saw Officer Arlington walk down the alley and enter the Manning house. The witness saw no one else in the yard beside the officer. Lizzie Belmont, a colored woman, testified that Annie Manning was in her house on the 8th of July several times. The last time she was there was in the afternoon. She asked the witness to go to Arlington's room and ask him to come down. Witness said she did not know where the room was, and then the Manning woman rung for a messenger. Early m the day Annie Manning told the witness that she had sent to Arlington for $20 and had not heard from him. May Rheem testified that she was an inmate of Annie Manning's house, and was there on the 8th of July. She was in the back yard when the shooting took place, she heard the shots. There were four or five of them fired. She did not see Officer Arlington come in the back way and did not know he was in the house. 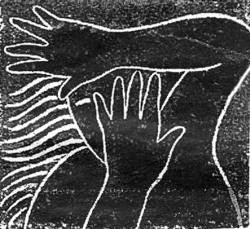 The witness knew "Sieve," the Manning woman's brother, and did not see him around the house that day. Witness understood that "Steve"' was not in the city. Laura Earl corroborated the Rhecm woman's testimony. The case was submitted to the Jury. 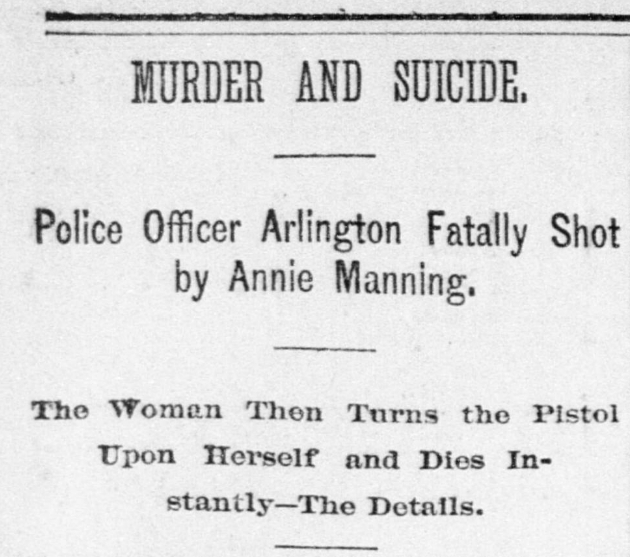 The verdict was that Officer Arlington came to his death at the hands of Annie Manning and that the latter committed suicide. 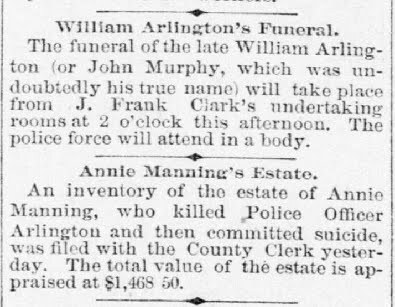 The statement in the Record- Union yesterday that said there was reason to believe that the deceased officer's name was not Arlington, but that he was a son of one Dr. Murphy, a prominent physician of Peoria, 111., was a surprise to the police department. Chief Drew has been sending telegrams, in the hope of learning something definite on the subject, and it is possible that answers may be received to-day. Coroner Clark states that a gentleman named Younger, residing at 600 Seventh street, who formerly lived in Peoria, knows Dr. Murphy, and is of the belief that the deceased was his son. The funeral of the late William Arlington (or John Murphy, which was undoubtedly his true name) will take place from J. Frank Clark's undertaking rooms at 2 o'clock this afternoon. The police force will attend in a body. An inventory of the estate of Annie Manning, who killed Police Officer Arlington and then committed suicide, was filed with the County Clerk yesterday. The total value of the estate is appraised at $1,468 50. 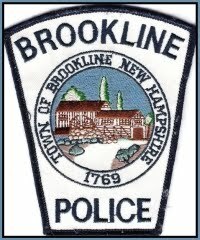 Brookline Police did not investigate when it was learned that there was a domestic incident involving Police Chief William Quigley's son Jonathan and Jonathan's girlfriend. Jonathan's girlfriend, Goyette Shank, said that when she told Jonathan that she was going to call the police, Jonathan told her not to bother - that he would call his dad, the chief, and tell him to be sure that police don't respond. Then Jonathan called and met with his personal friend - Brookline Master Patrolman Robert Pelleier - who didn't file a report and didn't go talk to Goyette - because the chief's son didn't want him to. Goyette said she knew she couldn't call the police. [OH] Wife-killer Dembie resigns from Lorain County Sheriff's Jail and tries to flip the script. Holly Marie Drake Dembie with her son William Jr.